Morning me… in my messy home office… messy hair, no makeup and a cup of my favorite peppermint tea. Scribbler of words on napkins in cafes. Musician by birth. Explorer of dreams, myth, and imagination. Passionate pursuer of creative expression. Curious surveyor of unexplained phenomena and the mysteries of the universe. 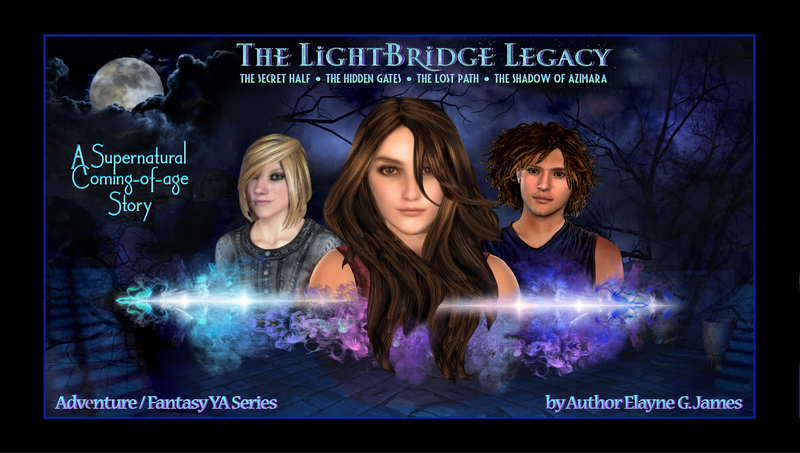 Fantasy-Adventure YA Author. Believer of things unseen, river walker, world builder, dyslexic time-traveler. • Born in Monterey, California, to musician parents whose high degree of silliness proved infectious to their somewhat innocent children • Spent her formative years on her family’s small ranch learning the secret language of the animals, and falling in love with the enchantments of the land • Had a dog named Sand that could speak pig Latin • Became a musician and songwriter at an early age • Traveled extensively throughout childhood and adolescence • Became a writer by chronicling her family’s adventures on the road • Wrote her first book at the age of 11 (100 handwritten pages and a crayon cover) • Began penning sci-fi and fantasy stories in her teens but never admitted to it in polite company • Became a playwright in college • Took leave of her senses and wrote screenplays for 7 years • Started writing novels at the ripened-on-the-vine-age of 38 • Still believes in Santa Claus • And according to Nerd Tests.com, Elayne is a “High-Level Nerd” scoring 86% on the Science Geek quiz. Afternoon me… on my way to visit my pop near Yosemite, looking a bit more awake and polished. As my novels will attest, I have had a lifelong interest in dreams, intuition and inner worlds, and a passion for personal and global evolution. I love research and study because it always inspires me in new ways and lends authenticity to a story, which I believe is all the more important when writing fantasy. My ongoing fascination with ancient wisdom, myth and magic, quantum realities, multi-verse conceptualization and alternate timelines, offers a constant source of mystery and inspiration for my books and my life. I have known since the age of five that I would be a writer and have kept a journal since age ten. I write my thoughts and ideas, experiences and life lessons, dreams and visions, character development and plot twists. Anything and everything that’s on my mind. These journals have been my best writer source through the years. Evening me + self-conscious grin. Going out to dinner w/ my sweetie. I enjoy creating tales set in the “real world” that have fantasy, paranormal, even sci-fi elements woven into them–exciting adventures of an alternate here & now. The genre for my books would be best named “Progressive YA Adventure/Fantasy” if there was such a thing, for my stories often begin in reality and migrate more and more into the adventure/fantasy realm as the book progresses. The Cosmos, Character, Creativity, The evolution of Self and Society, Partnership, Archeology, Art, History, Wisdom, Mysteries of alchemy, Magic & Secret Societies, Dragons, Technology, Philosophy, Education, The Behavior of Light, Time Travel, Speculative Physics, The depths of mind and soul, Music, Books, Dance, Travel, Trees, Ecology, Family and Friends, The Future, Nanotechnology, The Mysterious and The Unexplained, Rivers, Rocks, Hawks, Films Great and Small, The Art of Photography, Nature Walks, Songwriting, Playing the Guitar and…of course, Writing Books. • I have a secret longing to explore the universe by a means yet invented or discovered. • People often ask me what “musician by birth” means in my ‘About the Author’ description. It simply means that I was born into it. My soul must have known I needed to become a musician because it chose a family where musical instruments were strewn about the house and were more abundant than toys. Music was my first language and remains my primary language. It’s in my blood, my heart, my soul. Write me at the address below! Let me know what book you are reading and how you like it, ask me a question, offer a suggestion, or just say hi! I LOVE to hear from readers!